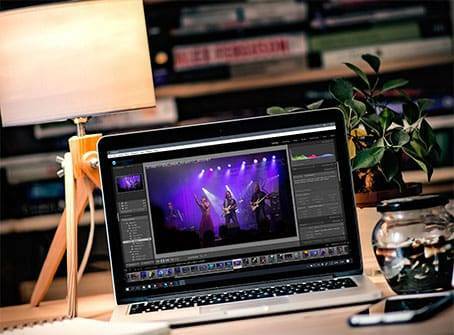 Do you need to sort and edit a lot of pictures in Lightroom in a short amount of time? Then this is the class for you! Images, both moving and still. Tell us what you need! Practical photography, software, video production and editing. Websites, social media and technical support. During my 35 years of teaching, I have met none with a higher natural talent for teaching. His approach to explaining editing software is structured, his progress is efficient and inclusive, and his dialogue with students during lectures is fluent and effortless. His students were both expressively satisfied and, after the courses, all capable of performing their given tasks. I wish to add that I have learned to know Svein as a person addicted to knowledge, always searching to update his information and develop his skills. Svein is a professional photographer with encyclopedic technical knowledge and an eye that spies the poetry in the bottom of emptry espresso cups, a farmer separating coffee berries, or the mountains of Soria Moria. I have worked with Svein, personally, and have seen how much he puts into his art. His attention to light and textures, as well as moods and moments, makes for masterful, soulful, compositions. Finally, I have to say that while I admire his art, I admire the man himself.